to one of the most complete informative sources of Natural Health information on the web! presents a unique concept, the Inclusive All Natural Health Remedies & Solutions Website, which has been developed in co-operation with prestigious leaders of alternative medical institutions, natural medicine, and holistic practices from around the world. Heal yourself naturally using all natural approaches. Learn about herbal therapy, nutritional therapy, essential oils (aromatherapy), vitamin therapy, food as medicine, and more…Optimize your physical, mental and spiritual health. Browse and shop our researched recommended credible, high-end, gold standard online product lines to assist in the maintenance and/or recovery of your health. The healing, recovery, or sustainment of your health is only as effective as the quality of the product you take, the accuracy of the diagnosis, and the treatment course you practice. If you’re healthy, learn how to stay healthy; if you are not, learn how to become healthy naturally! Being informed will help you make better healthcare decisions. The better informed you are, the better choices you will make with regard to your own health. See how this website is different, and how it will benefit you. For additional information see Frequently Asked Questions and About Us. These are just a few highlights of the topics covered. If there’s a topic not listed of interest here, use the search our site feature. Do you know how and why to take an active role in your own healthcare? If not, you should! The first precept of medicine is - Do No Harm. Tragically, medicine does cause harm, and The Institute of Medicine Report in 2001 showed that medical errors were the eighth leading cause of death in the USA. This is not surprising, considering the fact that healthcare delivery is a complex service, involving several stakeholders and multiple processes. Indeed, patient safety has become a matter of serious public health concern in recent years, and the World Health Organisation has responded by creating the World Alliance for Patient Safety. Many initiatives have been launched globally, ranging from efforts to establish the extent of the problem; identifying its root causes; campaigning for legislative reforms in order to minimise harm caused by faulty medical devices or poor professional performance; to empowering patients through raising awareness. The first step in becoming informed and empowered is to obtain information and basic skills. This knowledge will lead to meaningful dialogue with health care providers and to increased participation by patients and their loved ones. An increased level of ability and confidence will allow patients to form effective partnerships with their physicians and to achieve an optimal level of health and wellness. Why Should You Learn About the Topics on This Site? Alarming STATISTICS - show that conventional and/or traditional medicine has failed. The Life Extension Foundation for Longer Life reports, "It is now evident that the American medical system is the leading cause of death and injury in the US." Are you tired or scared of the outrageous side effects of pharmaceutical medications? Are you tired of being sick and tired? If so, you are at the right place. And if you are not one of the effected, learn how to protect yourself from attacks and toxins on your health so you will not be affected! If you think you do not need to be aware and know about these topics, think again! Here are just a few alarming statistics: Read more - Alarming STATISTICS ! ... The number of unnecessary antibiotics prescribed for viral infections is 20 million per year. The number of unnecessary medical and surgical procedures performed is 7.5 million per year. The number of people exposed to unnecessary hospitalization is 8.9 million per year... Content provided from Life Extension Magazine (Death by Medicine) By Gary Null, PhD; Carolyn Dean MD, ND; Martin Feldman, MD; Debora Rasio, MD; and Dorothy Smith, PhD © 2013, Life Extension Foundation. All rights reserved. How Do You Prevent Becoming a Statistic? Patient Safety - Protecting Yourself from Medical Errors: Patient safety is one of the nation's most pressing healthcare challenges. Medical errors are a leading cause of death and injury. A recent report by the Institute of Medicine (IOM) estimates that as many as 44,000-98,000 people die in U.S. hospitals each year as the result of lapses in patient safety. This means that more people die from medical errors than from motor vehicle accidents, breast cancer, or AIDS. Preventable healthcare-related injuries cost the economy $17-29 billion annually. ©2001. Revised July 2005. Do you know if your internet information source is credible? According to a study in the September 17, 2003 issue of "The Journal of the American Medical Association," of 433 complementary and alternative medicine Web sites examined, most made misleading or unproven health claims about the herbal remedies they sold. How do you obtain credible information? - Dosage, frequency, drug interactions, etc. Your Course of Action - With our premier researched Product Treatment Links, we recommend a list of online product websites that offer everything you need to Live Healthy Naturally. When it comes to what you are buying, do you really know what you are buying and who you are buying from? Tests based on The United States Pharmacopeial standards have shown that contents of many supplements sold in retail stores don't match the label and that some supplements contain significantly less or more than the claimed amount of key ingredients. What is even more alarming is that some supplements may contain lead, mercury, other heavy metals, pesticides, bacteria, molds, toxins, or other potentially harmful contaminants. Quality Matters! Do you know about the toxins in your food, water, cosmetics, etc. and the health risks associated them? 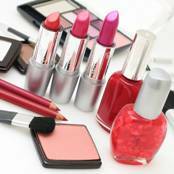 Most people use cosmetics and other personal care items without a second thought, believing that the government oversees their safety. Not so. No health studies or pre-market testing are required for these products...Read More - How Do You Protect Yourself? Learn about Detoxing, and Eliminate the Toxins That are Silently Poisoning You. And Protect Yourself against Food & Water Health Risks. Do you know how to prevent or treat cancer naturally? The National Institute of Health states that the 5-year survival in adults undergoing chemotherapy was estimated to be 2.3% in Australia and 2.1% in the USA. Also the National Institute of Health reports, "accumulating research evidence suggests that many dietary factors may be used alone or in combination with traditional chemotherapeutic agents to prevent the occurrence of cancer, their metastatic spread, or even to treat cancer". 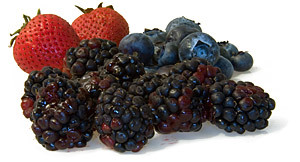 The reduced cancer risk and lack of toxicity associated with high intake of fruits and vegetables suggest that specific concentrations of antioxidant agents from these dietary sources may produce cancer chemo preventive effects without causing significant levels of toxicity. Your Course of Action - Purchase these nutrient dense superfoods to Prevent and Fight Cancer Naturally from these premier links. Read More, learn how Functional Medicine & Functional Food (Food as Medicine) Can Treat Cancer, Conditions and Disease. Do you know how to protect yourself from this global epidemic of antibiotic resistance? 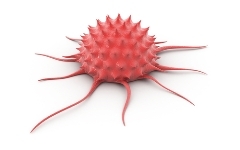 The Infectious Diseases Society of America - (IDSA) © Copyright IDSA – Reports ...Now, nearly 70 years later, we’ve reached a critical point in treating infectious diseases: new drugs are not being developed at anywhere near the pace necessary to keep ahead of the natural ability of bacteria to evolve and defend themselves against antibiotics. The result is that some of our most powerful drugs are becoming useless. If we do not act immediately we face a future that may resemble the days before these “miracle” drugs were developed; one in which people die of common infections, and where many medical interventions we take for granted – including surgery, chemotherapy, organ transplantation and care for premature infants – become impossible. The Center for Disease Control (CDC) states, "Antibiotic resistance has been called one of the world's most pressing public health problems. 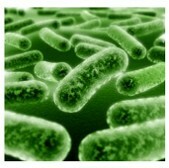 Almost every type of bacteria has become stronger and less responsive to antibiotic treatment when it is really needed." Why Should Essential Oils Be an Arsenal in Your Medicine Box? What does the research say? Research studies on essential oils show positive effects for a variety of health concerns including infections, pain, anxiety, depression, tumors, premenstrual syndrome, nausea, and many others…Clinical studies are currently underway in Europe, Australia, Japan, India, the United States, and Canada. Many of these studies describe the remarkable healing properties of various oils. www.encyclopedia.com states - Today, the use of holistic aromatherapy is widely accepted in Europe, particularly in Great Britain, where it is commonly used in conjunction with massage as both a psychological and physiological healing tool. In the United States, where aromatherapy is often misunderstood as solely a cosmetic treatment, the mainstream medical community has been slower to accept its use. The need to prepare is real - Disasters disrupt hundreds of thousands of lives every year. Each disaster has lasting effects, both to people and property. At this historic juncture, when the danger of biological attack is clear and omnipresent, the exemplary record of homeopathy in treating epidemic diseases gives the American Institute of Homeopathy both opportunity and obligation to acquaint not only our own patients, but also the medical community and the public at large with a valuable additional service of which they may well be unaware. www.acponline.org - Copyright © American College of Physicians. All rights reserved. Did you know the power of prayer can heal? Do you know how to pray effectively? Researcher Tom Knox, a one-time atheist who became a "regular worshipper" after doing in-depth study of the medical benefits of faith, notes: "The proof of the power of prayer is overwhelming. What I discovered astonished me. Over the past 30 years a growing, and largely unnoticed, body of scientific work shows religious belief is medically, socially, and psychologically beneficial." www.ncbi.nlm.nih.gov - As of March 2004, there have been nine controlled clinical trials looking at intercessory prayer (compassionate intention at a distance). Six of these have produced statistically significant positive results. For a complete list of these studies, one can visit the distant healing research site at the Institute of Noetic Sciences Web site (www.noetic.org). Take Action - Learn How to Pray Effectively. 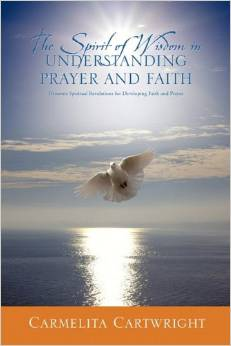 Our featured book, The Spirit of Wisdom in Understanding Prayer and Faith is a powerful teaching that will impact the way you pray. Mike Adams of Natural News writes, most of the talk on preparedness these days focuses on food, water, emergency medical supplies, sleeping bags and similar items. There's nothing wrong with that, of course, but it's limited to the scope of being ready for things that happen when you're alive. But this life is just the blink of an eye in the larger perspective of spirituality and the survival of your conscious soul. As journeys into the afterlife have revealed to us, there is an afterlife beyond this life, and our actions here on Earth are judged by the Creator. Judgment Day will be here before you know it…Prepare your physical body to survive the physical world; and prepare your soul to survive the spiritual world. There is a destination after this life, as we know of that is explained in considerable detail in the Bible. Read More - Our Spiritual Nutrition shares the grace of the Christian Faith that promises an empowered life now, and an eternal after-life with God; Why Jesus is Savior, the need for a Spiritual Rebirth, walking in the Supernatural, and experiencing Divine Healing. Are you questioning the origin, the reason, the purpose and the destiny of our existence? And the more prevalent question, and buzz lately has been, “what is going on with our world?” This question points to the unprecedented weather events, the violent unrest spreading across nations, the economic chaotic transitions, rumors of nuclear wars, global famine and human suffering as today's news headlines perfectly align with end-of-age biblical prophecy! The Bible, the Word of God, tells us the history as well as the future, and reveals the end of age, as prophecy unfolds. Are you ready? Learn what the Word of God has to say about end of age prophecies, Jesus' prophetic warnings, and others such as Sir Isaac Newton. Topics cover America in Bible Prophecy, Mark of the Beast, Surviving Tribulation, Christ’s Second Coming, and more…End of Age Prophecy. Live Healthy Naturally addresses the whole person and everything that affects you: Spirit - Mind & Body. All the information and resources you need to Live Your Best Life Naturally. BY BROWSING YOU SIGNIFY THAT YOU AGREE TO THE TERMS OF SERVICE.